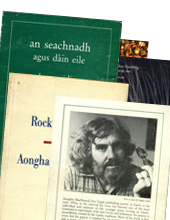 Aonghas MacNeacail poet and songwriter, was born in Uig, on the Isle of Skye. He is also a broadcaster, journalist, scriptwriter, librettist and translator. A native Gael, he writes in Gaelic and English. His collections of poetry have been published in both languages, and his writing has appeared in literary journals all over the world. A vibrant communicator, he broadcasts regularly on radio and TV. 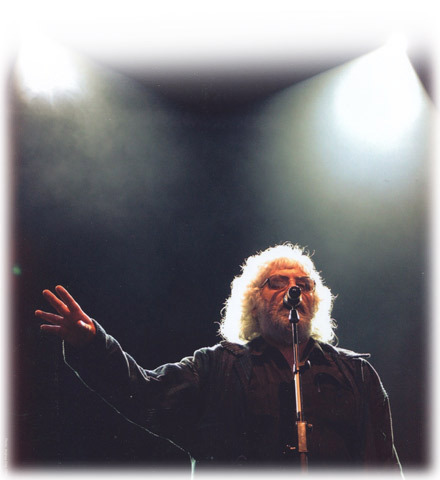 He has given poetry readings at major literary festivals across the globe - in Russia, Japan, Poland, Israel, the U.S.A., Canada, and throughout Western Europe. His work has been published in many languages, including German, Italian, Irish Gaelic, French, Hebrew, Finnish and Serbo-Croat. 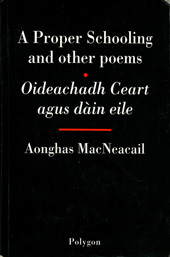 He won the prestigious Scottish Writer of the Year Stakis Prize with his third collection, Oideachadh Ceart ('A Proper Schooling and other poems'), in 1997. He has received three Scottish Arts Council Writers’ Bursaries, and was awarded a Society of Authors Travelling Scholarship, in 2003. As an established lyricist and librettist, Aonghas has collaborated, in both folk and classical idioms, with many of Scotland’s top composers, including Phil Cunningham, Donald Shaw, William Sweeney and Ronald Stevenson. He has also collaborated with major Scottish visual artists, including Calum Colvin and Will MacLean. He is an experienced tutor of writing, and regularly works in schools, colleges and universities, running writers’ workshops with pupils and students of all ages.